I am a teacher and use this tape fairly regularly for holding up my children's work on the cement walls. It rarely comes down. 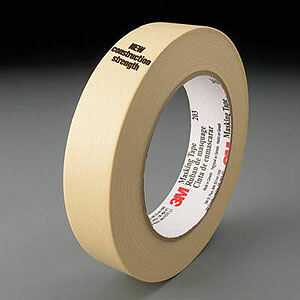 3M 203 General purpose high quality masking tape 1" x 60yards for light duty bundling, attaching, and labeling. New construction strength! Tape is typically used at room temperature but will function up to 200F (93C) for up to 1 hour.